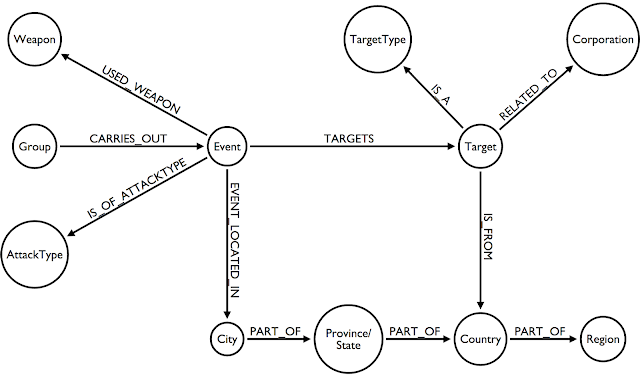 In the past couple of weeks and months, I have been having a lot of fun at Neo4j working with different clients. One thing struck me however (maybe it's a coincidence, but still): we have come across an impressive amount of customers that all had very similar requirements: they were looking to use Neo4j as the foundation architecture for a next-generation POLE database. A what? A P-O-L-E database. What is a POLE, exactly? Naturally, most of these clients are not about to share their privacy-sensitive data with us very often. And I would still want to have some kind of a story and demonstration to explain how we could help. So I went looking for some interesting datasets, and ... before I knew it I found something really interesting. 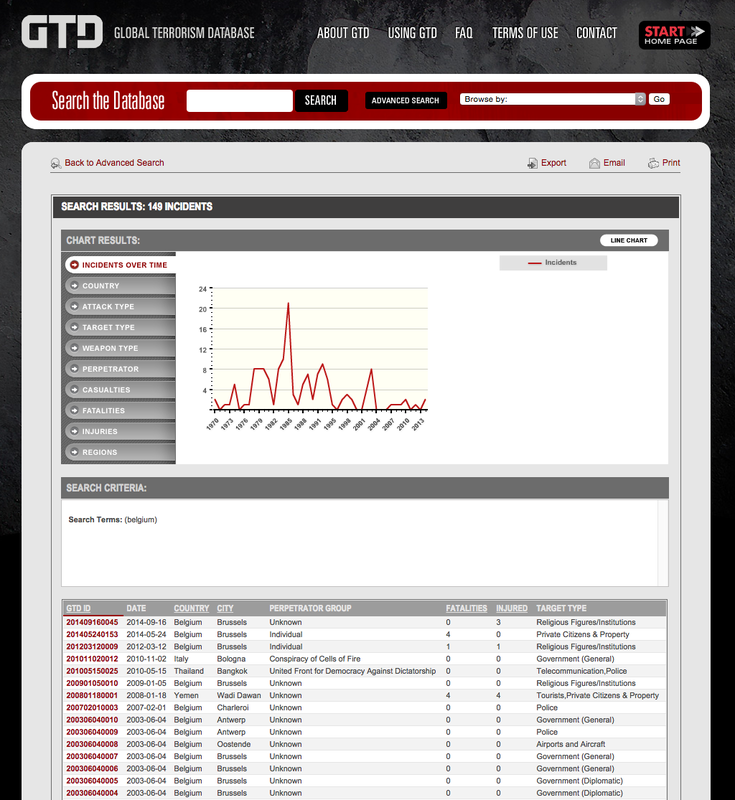 the data was provided by the National Consortium for the Study of Terrorism and Responses to Terrorism (START). (2015). Global Terrorism Database [Data file]. 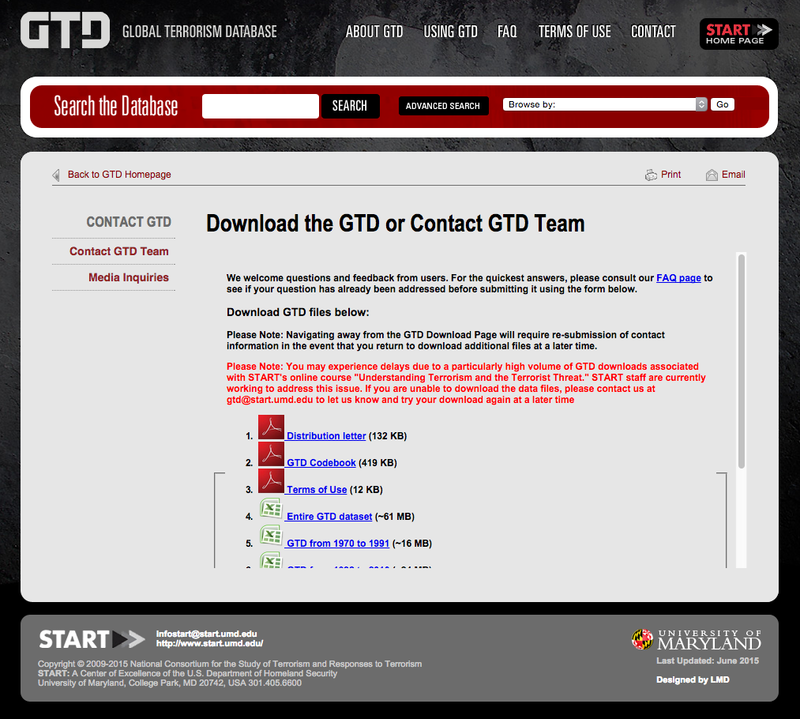 Retrieved from http://www.start.umd.edu/gtd. And I must say: they did an unbelievable job. The interface below is super interesting to play around with in the first place. Then after some playing around I quickly noticed I could actually download the dataset from this page over here. a big, tall and wide Excel file. 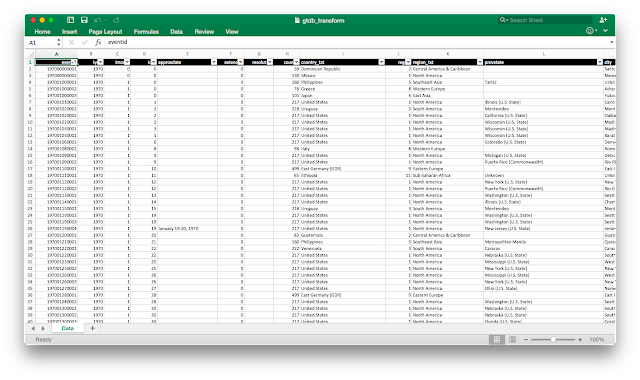 a Codebook that explains the meaning of the different data elements in the Excel file. Opening up the file takes a bit longer than on average, but works fine on my machine. It's about 140000 lines long, and I-don't-know-how-many columns (a lot) wide. Events: the 140000 terrorist attacks from 1970 until 2014. And actually a bit more than that. So the data is actually a bit more than a "simple" POLE, and so I thought that it would be an even better fit for a a potential Graph Model then. As usual, with a graph, it feels like a very natural and simple way to talk about the data. So then all I needed to do was to convert the Excel file into a Neo4j database. That should be interesting. So in part 2, we will attempt to load this data into Neo4j. Hope this was interesting so far!